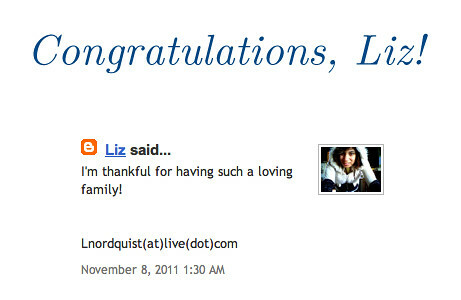 Congratulations, Liz! You've won the Thanksgiving Giveaway from FineStationery.com! Using Random.org, comment #55 (yours!) was selected. Please reply to the email sent to you so that FineStationery.com can send you your prize! Thank you all for playing!